The All Progressives Congress, APC, has reacted to the defection of the supporters of Imo and Ogun State Governors, Rochas Okorocha and Ibikunle Amosun, from the party. The ruling party said it will not lose any sleep over the defection of the supporters and political machinery loyal to the governors. While Akinlade along other Amosun’s supporters moved to Allied Peoples Movement, APM ; Nwosu and others crossed to the Democratic People’s Party, DPP. 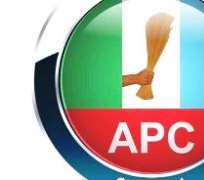 The APC National Publicity Secretary, Mallam Lanre Issa-Onilu told Sun that the governors’ men placed individual interest above party and national interest. He said, “APC as a party is looking critically at that development and in due course take a position on it. However, in the interim, we will continue to encourage our members not to be driven by selfish ambition but rather to be driven by higher ideals that the party represents. “The unprecedented achievements the party recorded in the past few years are pointers that members should rise above personal interest. We will also continue to encourage them to think deeply to the larger implications of their actions and inactions. “We are however mindful of the fact that at the end of the day, the generality of the people are happy with what we have done and what we are doing. We can never regret sticking by the rule of law and operating in accordance with what is good for the interest of the country. “Let me emphasis that what we have done was for the best interest of the party, government and the generality of people of this country. This has continued to encourage us to be focused. We will however take what happened into consideration and in due course react appropriately. “The reality is that as a party, you can’t afford to lose any party member. But we also know that as some are leaving, many others are joining us. Regardless of what happened, I can tell you that the ruling party is very much secure. “They won’t threaten our chances especially as many more people joining us have continued to see APC as a party standing on solid and higher ground for the generality of the people. That exactly is the comfort. “I will advise them to place party interest above individual interest especially as it conforms with the overall and the generality of members. Leaving a party because you didn’t achieve personal ambition is off the mark. “To them I ask, what about the common objective of using the party as a platform to rescue the country from the dungeon that the PDP has thrown it. That would have been enough motivation to these members leaving the party. We implore them to think deeply and allow the national interest the party is championing. “Reconciliation process has started with the setting up of the panel whose members have started working round the clock to pacify the aggrieved members from every part of the country. “Good enough we have very credible and eminent personalities in the panel like governors, elder statesmen. They are committed to bringing lasting peace within the party. Let me say that we don’t regret any action we took in the interest of the party that led to their exit. It was in the best interest of democracy,” he insisted.